Da BOYZ ARE BACK, get ready for . 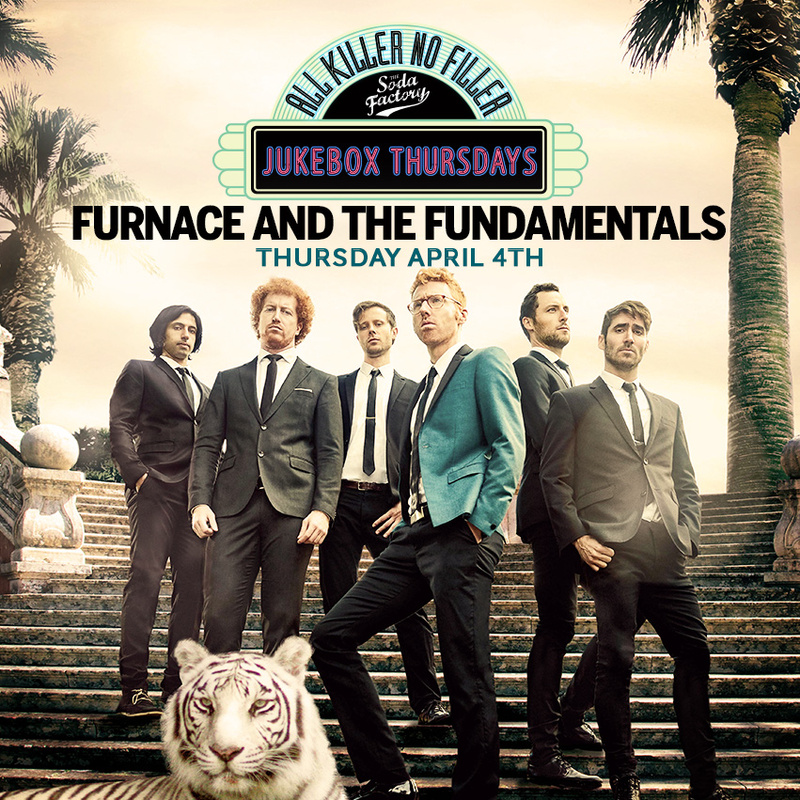 . . F-F-F- Furnace And The Fundamentals! In usual Soda style we’ve got a stack-load of epic live tunes. These booz houndin’, room-bustin’, stage shakin’ legends always bring the party with them and we can’t wait to have them back for that extra late night set on Thursday, April 4th. You can bet the DJ’s will be joining us afterwards to keep you bustin’ moves. Join us from 5pm with $5 drinks til 7pm with a fat side of live tunes starting from 8:00. Get ready for a late night!